Former legal practitioner and the president of Young Lawyers Association of BiH Bar (late 1980s). Former MFA official and career diplomat (early 1990s). 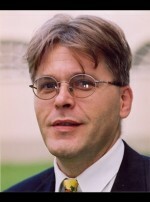 Research Fellow at the Institute for Modern Political-history analyses, Dr. Bruno Kreisky Foundation as well as the Legal and Political Advisor for CEE at the Vienna-based Political Academy, Dr. Karl Renner (mid 1990s). Senior Legal Officer and Permanent Representative to the UN Office in Vienna of the Intergovernmental Organization ICMPD (1990s). Attached to the IMC University of Austria as a Professor and Chairman for Intl. Law and Global Political Studies (2000s). For past 15 years, he teaches subjects of Geo-political Affairs, International Law (including Intl. Relations, Law of IOs and EU Law) and Sustainable Development (Institutions and Instruments of). Besides, he served as a pro bono expert numerous academic institutions, think-tanks and intergovernmental institutions (such as the UN ECE, OSCE, Council of Europe, American Bar, Oxford Academy of Total Intelligence, etc.). Prof. Bajrektarevic is the author of dozens presentations, publications, speeches, seminars, research colloquiums as well as of numerous public events (round tables & study trips, etc.). His writings are frequently published on all five continents (in over 50 countries and in 20 languages). Author of the book Is There Life After Facebook? - Geopolitics of Energy and other Foreign Policy Essays (Addleton Academic Publishers, New York, 2013), and the forthcoming book No Asian Century. He lives in Vienna, Austria.